The incursion among the neighbors of Equatorial Guinea is a brand-new experience. 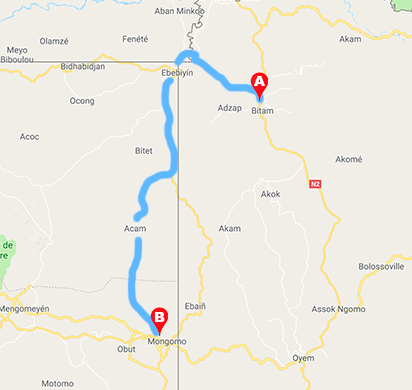 The riders will make about twenty kilometers in Gabon before entering Cameroon for only a few kilometers, then enter Equatorial Guinea in Ebebeyin and then join Mongomo on hilly roads and perfectly asphalted, ideal for the race. The finish will be judged in front of the Basilica with a final circuit in the city of 10km. This unprecedented course could reserve some surprises.